GILLIG is the leading manufacturer of heavy-duty transit buses in the United States. From initial design through final assembly, each GILLIG bus is designed and built by dedicated Americans in Hayward, California. GILLIG buses are known for their unmatched quality, and have earned their reputation as the lowest cost buses to maintain and operate. GILLIG was founded in 1890, in San Francisco, for the purpose of modifying and building buggies and carriages – the main mode of transportation at that time. GILLIG adapted to the new horseless technology, but in 1906 the factory burned down in the great San Francisco earthquake and fire. That setback didn’t keep GILLIG down, the factory was soon rebuilt and the production of early model buses began, followed later by school buses and troop transports. After 125 years, GILLIG holds strong to its family values and focus on its employees and customers. Our motivated and dedicated employees have a passion for quality and customer satisfaction. We are committed to building buses that connect communities, eliminate congestion, and contribute to a greener environment. Our Company pride is exemplified by the thoughtful design and quality craftsmanship present in every GILLIG bus. GILLIG’s steadfast focus on quality and unwavering commitment to exceptional customer service sets us apart from our competition. GILLIG has been a family-owned American business for 125 years with a long history of creating well-paying, dependable American jobs. 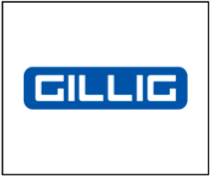 We thank GILLIG for their ongoing support.